Mizutani Black-Smith Fit Speed Star Left Handed hair cutting scissor with a double swivel. 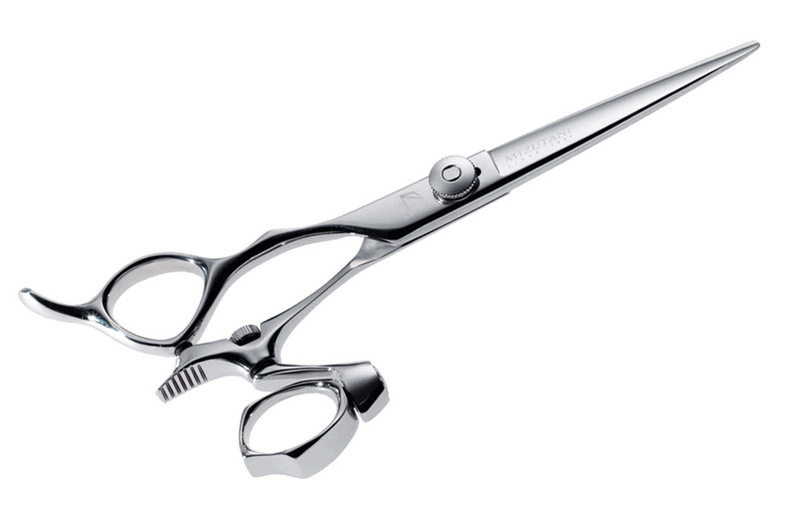 Designed with Cobalt Alloy Steel and convex edge for a smooth cut. The Mizutani SpeedStar pivot is a absolutely unique design that Rotates in all directions on an amazingly smooth ball bearing system. If you are a swivel user, you should try this. If you are experiencing carpal tunnel symptoms, this could save your career. The double pivot called trans directional will allow you to cut in any direction yet have no stress or strain on you wrist. This is a wonderful tool for those with with wrist problems.